Home / Uncategories / 99 cent Paleo Book Event November 25th! 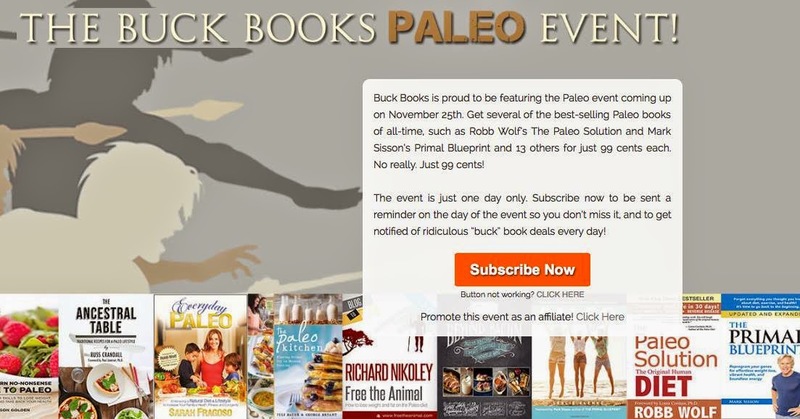 99 cent Paleo Book Event November 25th! Have you been meaning to read The Primal Blueprint or The Paleo Solution? Have you been thinking about tightening up your Paleo cooking game with cookbooks like The Ancestral Table or Beyond Bacon? Now's the time to stop meaning and thinking and start doing! For only one day (11/24/14), more than a dozen top Paleo books go on sale on Amazon for .99 cents! Seriously, that's a crazy good deal for crazy good books, so make sure you don't forget by signing up for a free email reminder from Book Bucks!